To make the woodland more wild and quiet we created a Live Willow fence with a tunnel leading into the wood and pond area. 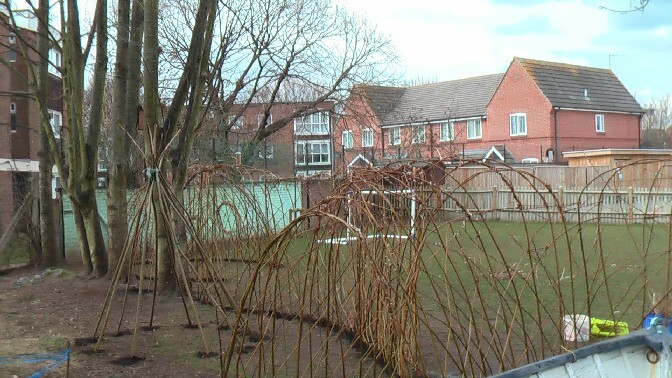 Every child planted a Willow tree into the structure. the children also planted primroses, honeysuckle and winter jasmine to add to the flowers already there. Richard the caretaker planted 100's of daffodils many years ago and these are all in bud now. 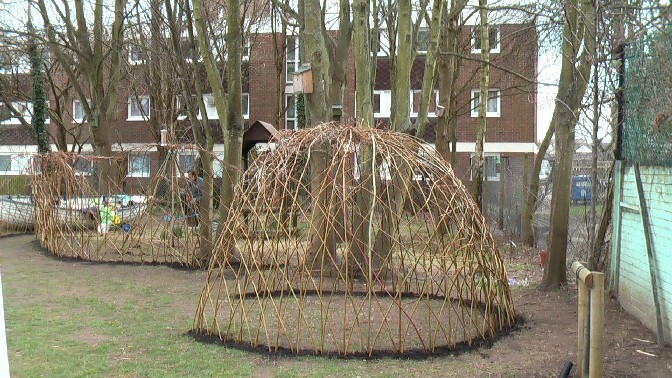 Volunteers have already got a thriving wildlife area around the pond and we are adding to this and making the pond safer to use.Outside the Willow fence we have planted a Live Willow Dome, big enough for a whole class to sit in for drama or stories and also for 1 or 2 children to sit and read. It may not be big enough for staff meetings! A Spy in the Camp! The children in year 2 built a tepee village, of which one is Live Willow and the others are made of Hazel, which will not grow, but we intend to paint designs on canvas in the summer term and use them as a tepee village. Staff meetings around a camp fire?There are already mammals in the trees, who explore everything we do as soon as we have gone. they are also watched by the neighbours who feed them and the birds. 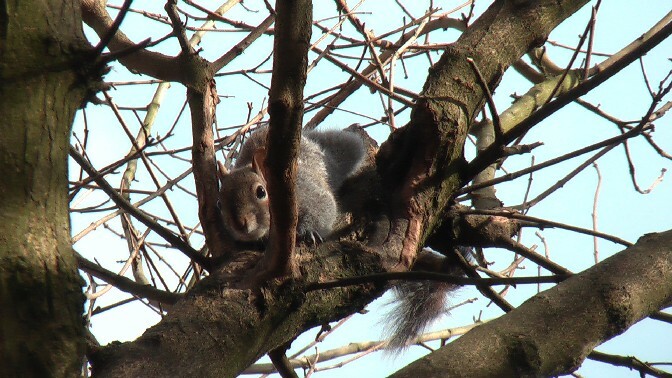 we hope the flats around the wood will enjoy the wildlife habitats as well as the children.
" 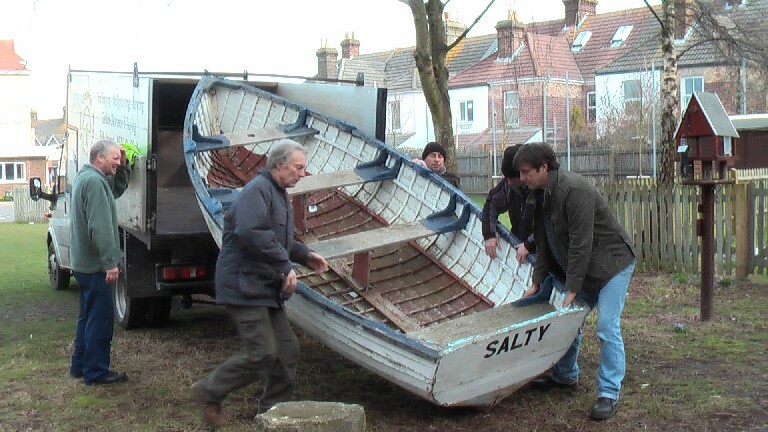 Salty" came from Fisherman's Dock, to a new life at the school. It took 6 men to lift and 1 woman to watch...to take pictures of course!